Calgary Custom Tile Installation Inc.
Calgary Custom Tile Installation Inc is among the premiere residential and commercial tile installation companies in Calgary area. We Install tile for your home and business to add beauty, value and durability to your existing construction or new construction project. 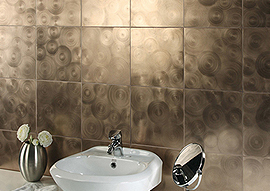 Our tile company offer’s custom tile design, tile installation and tile repair. We have the experience, technical knowledge, and mechanical capability to accommodate even the most demanding projects. ©2013 Calgary Custom Tile Installation Inc.